Key Stats: Career leader at Weber State with 42 pass break-ups. Where He Fits on Bills: Fills a desperate need for depth at the corner position. Who He Pushes Off Bills Roster: Doesn’t push anyone off the roster. Expected to Start Right Away? : No, but Bills only have three corners on the roster I have confidence in: Tre’Davious White, Vontae Davis and Phillip Gaines. If he’s the fourth best corner on the team he play a ton. Bob’s Take: Another player with big upside but may need a year to adjust to the NFL. A three-year starter that has experience in several different coverages in college. He had a good week at the Senior Bowl. Early in the week he would bite on double moves but he improved. What impressed at the Senior Bowl was his ability to help vs the run. He’s not afraid to help with run support. During the year he had a good game vs Cal when asked to step up against better competition. 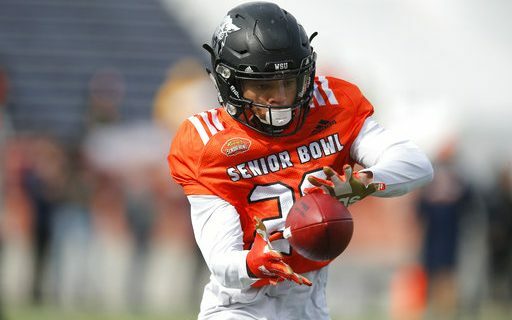 Mike Mayock stated that he would have been higher on his draft board if he had better ball skills. His issue was finding the ball with his back to it when he turned around. The best corners have a great feel for where the ball is in the air even when they don’t see it until the last second. Most mock drafts had Johnson going in round 6. I would have preferred they addressed receiver with this pick and still think they could have gotten Johnson in round 5.